Thanks to Peter, welcome Angela, Lisa, and Luca. Apple regularly releases updates of the operating systems iOS and OSX. With a much lower frequency the executive board and the product line-up of the company is updated. Luca Maestri will replace long-time Apple CFO (Chief Financial Officer) Peter Oppenheimer. According to his profile, Maestri will report directly to CEO Tim Cook on issues related to “accounting, business support, financial planning and analysis, treasury, mergers and acquisitions, investor relations, internal audit and tax functions.” As Apple notes, Maestri will continue to serve as the company’s principal accounting officer alongside his new duties as CFO. Luca has over 25 years of experience building and leading finance teams in global companies with significant operating scale and complexity. 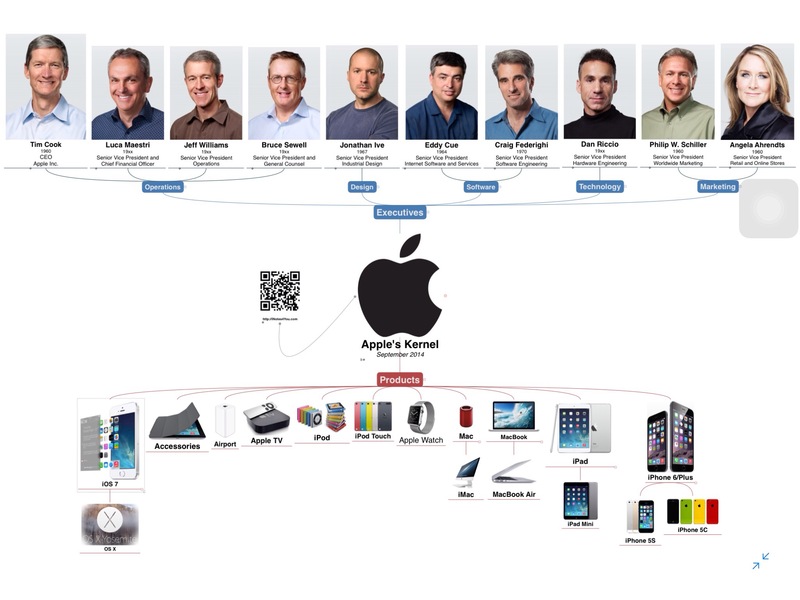 Prior to joining Apple, Luca was CFO at Xerox and previously at Nokia Siemens Networks. He began his career with General Motors and spent 20 years in finance and operating roles in the Americas, Asia Pacific and Europe. While at GM, Luca was part of the team that established GM’s regional Asia Pacific operations, including manufacturing investments in China and Thailand. He later became CFO for all of GM’s operations in Europe, which spanned over 45 countries with annual net revenue of approximately $40 billion. 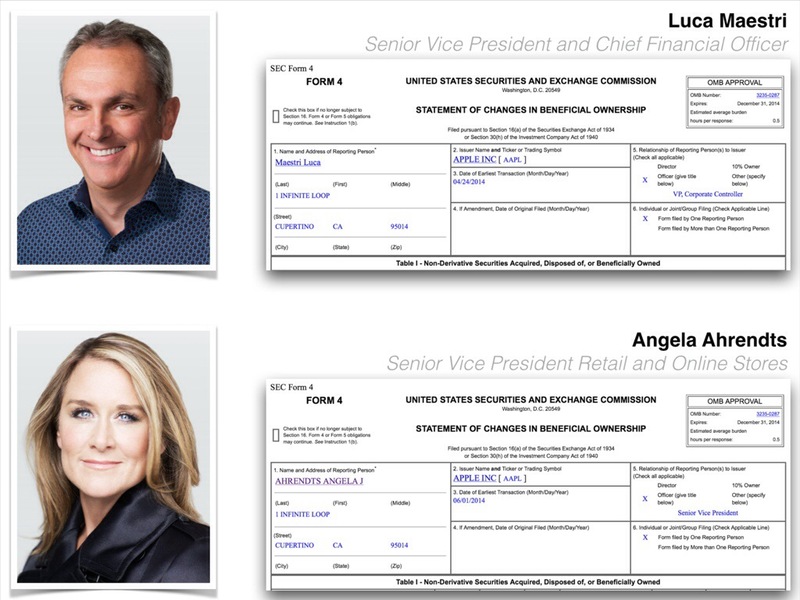 The board now has 10 members, one more than before and the responsibility for retail and online stores now goes to Apple’s Angela Ahrendts. Angela joined Apple from Burberry, where she served as CEO and led the company through a period of outstanding global growth. Prior to Burberry, she was executive vice president at Liz Claiborne Inc., and earlier in her career she served as president of Donna Karan International. 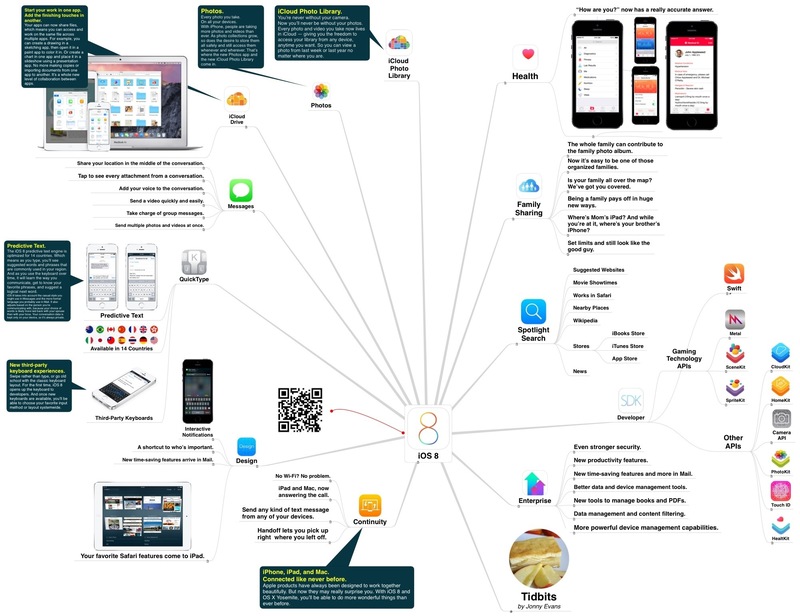 So here is the actual status visualized in a mind map. The alternative file formats have been created with iThoughts for iOS (.ITMZ file format). Compatibility to other tools is limited. The DOCX file format is suggested for those who don’t use a mind mapping tool. The file contains the image as well as a detailed outline of all topics. 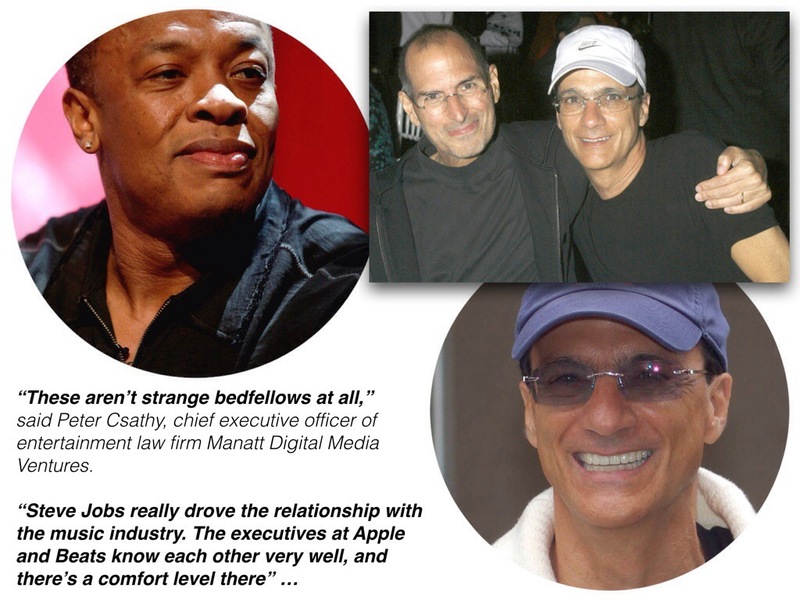 Two colorful figures, Dr. Dre and Jimmy Iovine, came into the discussion after Apple acquired Beats Music + Beats Electronics. Although the two companies may have very different cultures, the partnership is not so strange as it might first appear. James Iovine (born March 11, 1953) is an American entrepreneur, record producer, and film producer. He is best known as the co-founder of Interscope Records and chairman of Interscope Geffen A&M. In 2006, Iovine teamed with Dr. Dre to found Beats Electronics, a company which produces audio products and operates a music streaming service. The company was purchased by Apple for $3.2 billion in May of 2014. Andre Romelle Young (born February 18, 1965), known by his stage name Dr. Dre, is an American record producer, rapper and entrepreneur. He is the founder and current CEO of Aftermath Entertainment and Beats Electronics. Dre was previously the co-owner of, and an artist on, Death Row Records. He has produced albums for and overseen the careers of many rappers, including Snoop Dogg, Eminem, Xzibit, 50 Cent, The Game, and Kendrick Lamar. He is credited as a key figure in the popularization of West Coast G-funk, a style of rap music characterized as synthesizer-based with slow, heavy beats. In 2014, Dr. Dre was ranked as the second richest figure in the American hip hop scene by Forbes with a net worth of $550 million. Apple today announced it has agreed to acquire the critically acclaimed subscription streaming music service Beats Music, and Beats Electronics, which makes the popular Beats headphones, speakers and audio software. As part of the acquisition, Beats co-founders Jimmy Iovine and Dr. Dre will join Apple. Apple is acquiring the two companies for a total of $3 billion, consisting of a purchase price of approximately $2.6 billion and approximately $400 million that will vest over time. Apple is planning to give Iovine the keys to its iTunes music empire, according to one source. He would head up all music-related strategy at the company, and be tasked with handling relationships with record labels and music producers. Those are responsibilities that have until now largely fallen to SVP Eddy Cue and his team. Eduardo H. “Eddy” Cue is Apple’s senior vice president of Internet Software and Services and reports to CEO Tim Cook. He played a role in setting up the Apple online store in 1998, the iTunes Music Store in 2003 and the App Store in 2008. In November 2012, he took charge of map software and Siri. Cue joined Ferrari’s Board of Directors in November 2012. Eddy is the iFixit part of Apple’s executive board, Apple’s do everything, fix any problem man. According to WSJ, he’s the guy who’s in charge of fixing Apple Maps and Siri. Apple is under pressure to remedy mapping software widely faulted for unreliable landmark searches, routes that get users lost and a lack of public-transit directions. Building confidence in the tools is crucial as Google prepares its own downloadable mapping application for the iPhone and iPad, threatening to lure users and ad dollars away from Apple. But paid music downloads are falling, with more and more consumers choosing subscription services like Spotify over the per-track model that Apple revolutionized the music business with so many years ago. Apple may be hoping that Iovine can shake things up and rejuvenate its music business. It needs a sophisticated concept to get back on the track in the music business. So we have to wait what the considerations of the company will be. Apple’s green initiatives, including the company’s huge solar panel installation at one of its data centers in Maiden, show us, that there are ways to support a growing number of connected devices while at the same time shrinking the company’s carbon footprint. 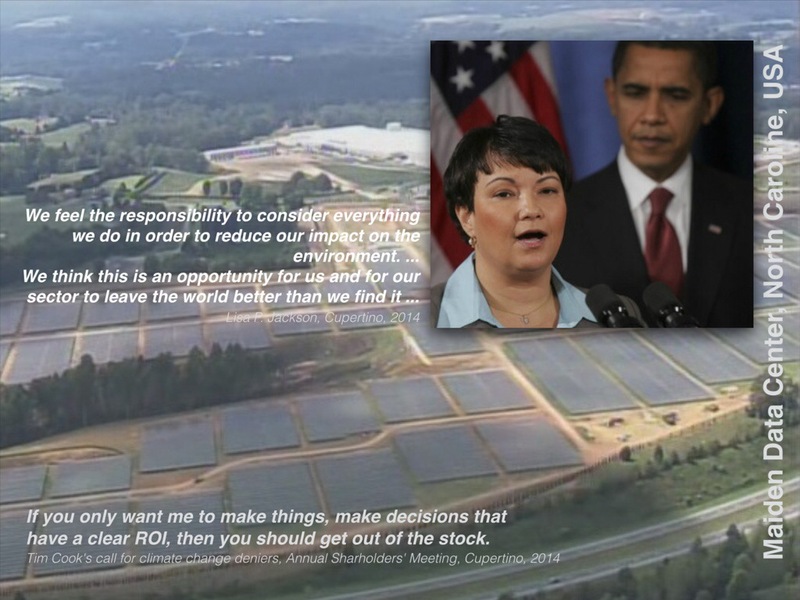 Lisa P. Jackson is Apple’s Vice President of Environmental Initiatives and explains it with using clean energy like solar power, biogas generators, and geothermal energy. Jackson said, echoing statements made earlier by Apple CEO Tim Cook. Greenpeace, which has previously been critical of Apple for sourcing energy from fossil fuels, recently praised the company for improving the energy mix powering its data centers, ranking it above other technology giants such as Amazon. It’s a fact that all the decisions regarding the board are less important if the product line-up charms the audience and is seen as innovative, revolutionary, or simply beautiful. Reviewing the last decade we saw innovative and disruptive technology in 2007 (lauch of the internet in your pocket) and 2010 (launch of an incredible great computer in a book). From 1983, when Steve Jobs first mentioned the tablet, it took him 27 years to realize. Publishing media all over the world are talking about a watch, a band, or whatever the company will call it. Hiring Angela Ahrendts was seen as an indicator for Apple’s move into a fast growing market of wearables in which clockworks are replaced by processors. As always, publishing media all over the world are talking about products which are likely to be unveiled on the next event. Whatever it will be, a warm welcome in advance from all ecosystem dwellers. Commissioners for Migration, Refugees and Integration, aka software developers, will take care of you and cure all childhood illnesses. At the WWDC (World Wide Developer Conference) 2014 Apple announced iOS 8 and set some milestones for the future usage of their electronic devices. For further information see my post ‘iOS 8 Beta’ under ‘Related links’. It doesn’t take a long time until we know whether iOS 8 either can be seen as a disruptive concept for mobiles or just an evolution of its predecessors. As the CEO it’s Tim Cook’s task to build a powerful team leading the company in a fiercely competitive mobile market, the market in which Apple makes 75% of its revenues. Thanks for flying with iNotes4You.